If you love lighthouses, Nova Scotia is the place for you! There are over 160 historical lighthouses scattered along the 7400 km coastline. 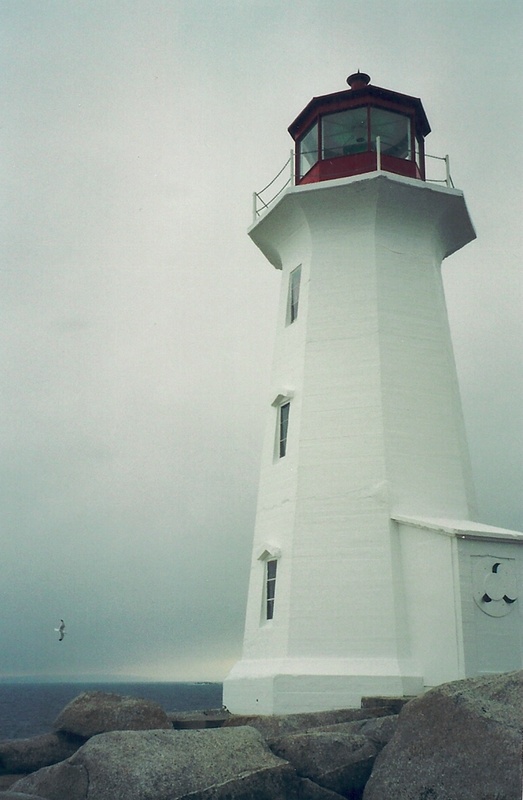 In fact, Nova Scotia has the more lighthouses that any other province in Canada… although, really.. is that a surprise? there’s not much competition – most of the country is landlocked. The oldest working lighthouse in North America is there – 82 feet tall, built in 1758, and located on Sambro Island! 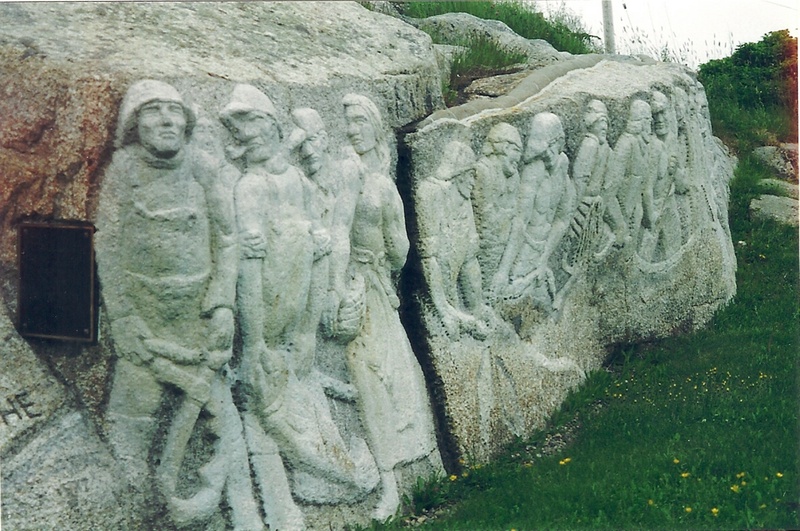 Worth seeing, there, is the “Fisherman’s Monument“, sculpted in 100 feet of granite, by a Finnish artist named William E. deGarthe. This sculpture depicts the lives of 32 fisherman and their families. I was told, while we were there, that one of the fisherman is actually a self-portrait of the artist. I can’t find anything to support that, now, but I like that it could be true. 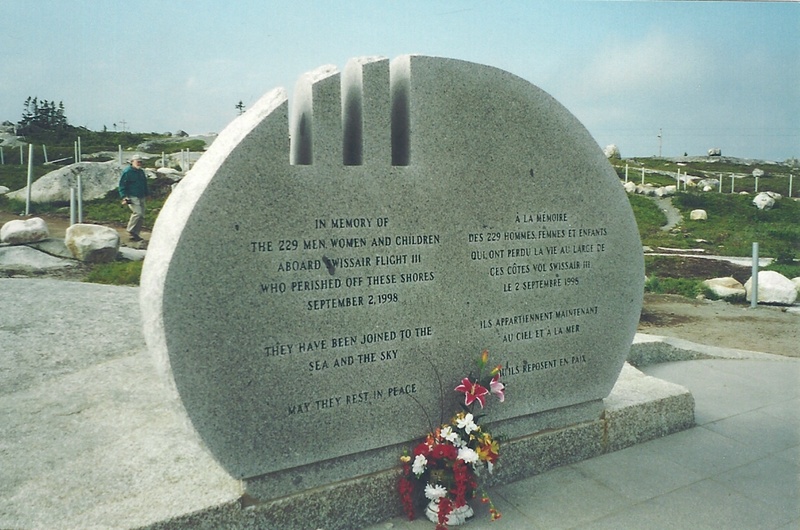 Also at Peggy’s Cove area is the Memorial for Swissair Flight 111. On 2 September 1998, Swissair 111 crashed into St. Margarets Bay, killing all 229 people (215 passengers and 14 crew members) on board. The flight left from JFK Airport in New York City, and was going to Geneva, Switzerland, but at almost 2 hours inflight, there was trouble. They considered turning and going back to Boston or Bangor, but were informed that Halifax Airport was closer. After trying everything possible, the plane came down, in St. Margarets Bay. At 345 miles per hour, the airplane disintegrated on impact, and everyone died instantly…. Another terrible tragedy for the area. We came across the Memorial while hiking over the gigantic granite rocks. We didn’t know it was there. One of the stones has markings in it ” 1 1 1″ for the flight number, but also, if you look through the markings, they point to the actual crash site. I took pictures of 3 or 4 other lighthouses as we trave lled the almost-island of Nova Scotia, but I don’t know what they all are called! I will definitely have to consider taking the Historic Lighthouse Tour next time! 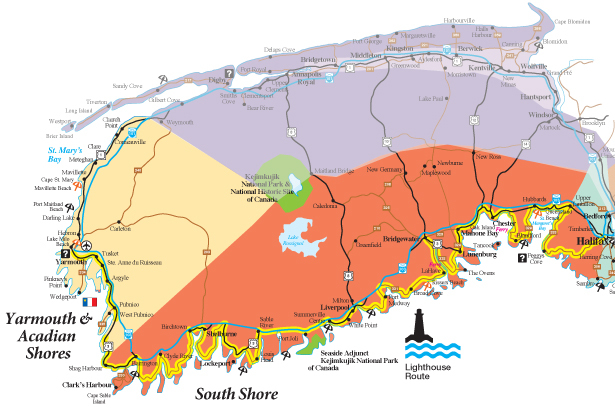 Go check out the Nova Scotia Lighthouse Preservation Society for a complete list and details for each of their lighthouses. One more Nova Scotia blog next week.